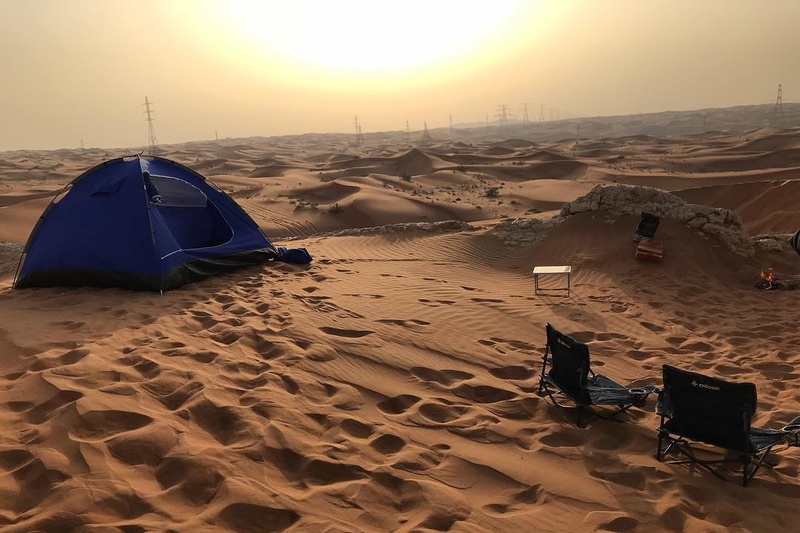 Whether you’ve got visitors in town for spring break, or you just want to try something different this weekend, camping in UAE is one of the best outdoor activities! Luckily for us, the UAE is home to some great camping spots. 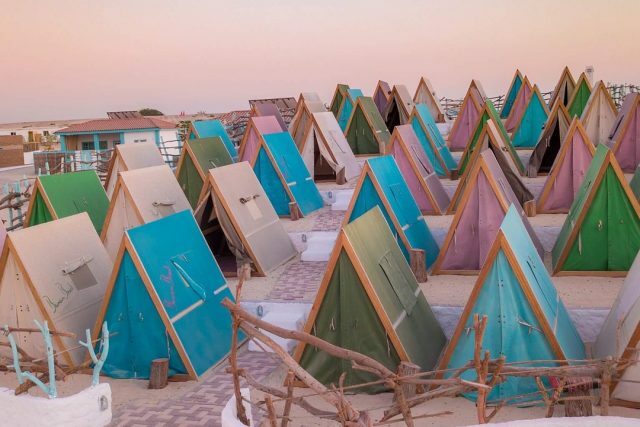 From the famous Jebel Jais camping spot to lesser-known camping areas like Banan Beach Dubai, here are our favorite spots to go camping in Dubai, and the rest of the UAE! Tucked away in Jebel Ali, Banan Beach is a seriously cool resort for camping in Dubai! They’ve not only got their own tents set up on the beach, but hammocks and a swing by the sea too! Get your adventure buddies together and head there to enjoy a fun camping experience, with beach yoga, bbq, water sports and more! If you’re looking for a stunning and peaceful spot for camping in Dubai, Hatta Dubai is where you need to be. You can choose to camp on your own in the mountains, or with fellow adventurers at the Hatta Camp area. Don’t forget to wake up early to catch one of the most beautiful sunrises ever! Looking for a fun desert adventure? Famous for its rock formations, the iconic Fossil Rock (officially known as Jebel Maleiha) is a great place for camping in UAE. Make sure to get there in a 4×4, you’ll need it to drive through the desert dunes. 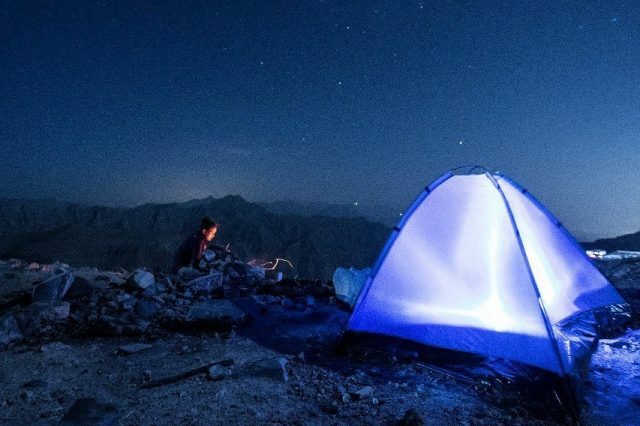 Fancy camping overnight on top of the UAE’s tallest mountain? 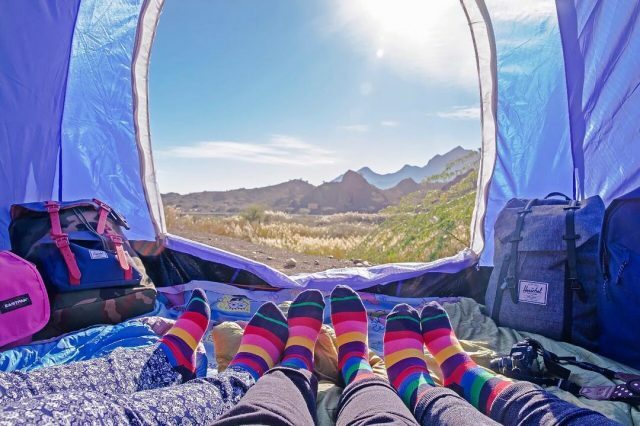 Pack up your tents and sleeping bags and make your way to the Jebel Jais camping site. The view from the top is incredible, especially during sunset and sunrise! 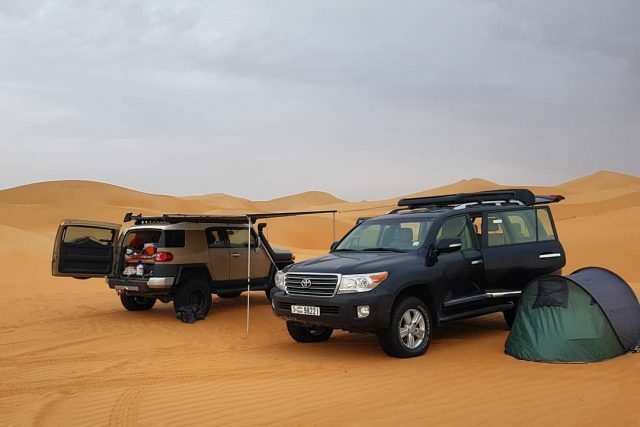 It’s a popular spot for camping in UAE, so make sure to head there early to find a good spot. For more fun adventures in Dubai, here are 5 insane adventures to add to your Dubai bucket list, or just browse through our Adventure section for more inspo!